GUIDE PRICE £290,000 - £310,000. 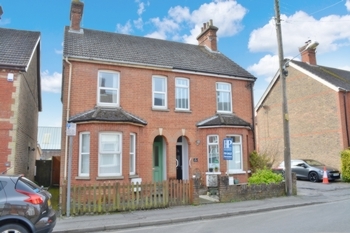 This spacious 'hall's adjoining' Victorian semi-detached house is located on the edge of Crawley town centre. Offering spacious accommodation with feature high ceilings and benefiting from two bathrooms and a generous rear garden. No onward chain. 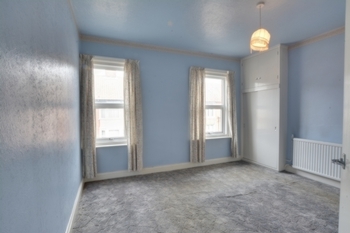 This spacious two double bedroom 'halls Adjoining' Victorian semi-detached house is located within Southgate with excellent access to Crawley train station, Gatwick Airport, M23 north and south bound, several excellent schools and a range of local amenities. 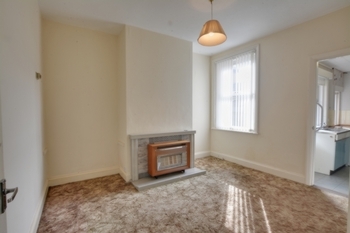 The property is in need of modernisation and would make an ideal house purchase for someone who is looking to create their perfect home, and for those needing to be close to multiple transport links, whilst being in a much sought after and convenient location. 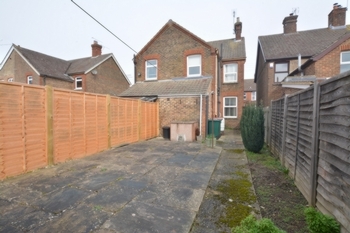 The property also features a generous rear garden and two bathrooms. On entering the property you walk into the generous entrance hall from which you access the front bay recessed lounge, separate dining room and stairs to first floor. The front aspect bayed lounge is filled with natural light and offers plentiful space for free standing sofas and furniture. The separate dining room is located at the heart of the property and provides an access to the kitchen. Within the dining room there is a rear aspect double glazed window which overlooks the side patio garden. Ample space is provided for a six seater dining room table and chairs with further floor space for furniture. A door and step down leads nicely through to the galleried kitchen. Within the kitchen there are some base and eye level units with work -surface surround. 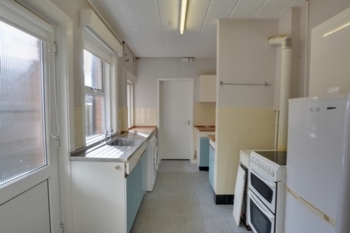 Space is provided for all white goods and cooker. There are three side aspect double glazed window and a door which leads out to the side garden. The kitchen offers a good level of storage space with the benefit of a generous under stairs recess. A door at the rear of the kitchen leads through to the modern shower room with w/c and wash hand basin with side aspect window. 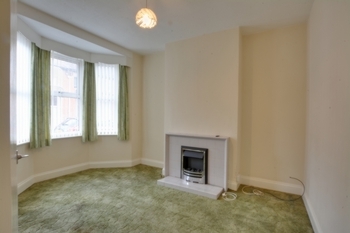 The landing on the first floor provides access to the both bedrooms and the study. 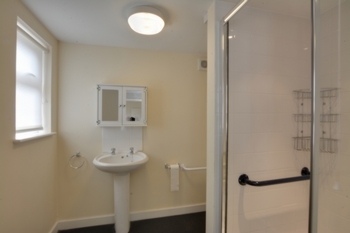 The study then provides an access to the first floor bathroom. The master bedroom is situated at the front of the property and benefits from two double built in wardrobes. The master bedroom can comfortably cater for a king-size bed and has two front aspect double glazed windows. 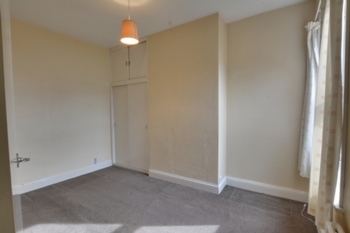 Bedroom two is a generous double bedroom with a double built in wardrobe and a rear aspect double glazed window. A small study area has been created which ideal if working from home. 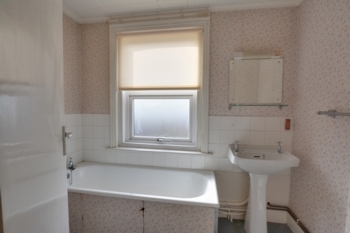 The bathroom comprises of a three piece suite and rear aspect double glazed window. To the front of the property there is a small garden enclosed with Pickett fencing. The rear garden is a rear feature to the property. Mostly laid to patio with some inset flower boarders. 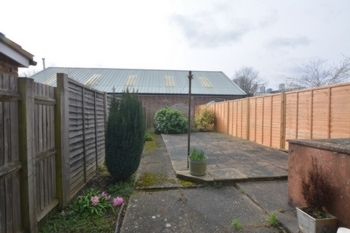 There is a further paved patio to the rear and a timber garden shed. Side access is through the wooden gate situated at the side of the property.